Home » Assault » How Do Police Get An Arrest Warrant for Assault in DC? For police to make an arrest, they must have probable cause that a criminal offense occurred. For most misdemeanors, like DUI, the officers usually witness the crime occur in person. Because they witness the offense, they can make a warrantless arrest. However, not all offenses are likely to occur in the officer’s presence. Imagine a scenario where two strangers get into a fight at a bar. The fight gets broken up and one of the people involved in the fight takes off before the police arrive. The person left on scene will likely give his or her side of the story to the officers and file a police report. The police will take a report and forward the information on to a Detective. While there are several police agencies that have jurisdiction to make arrests in the District of Columbia, the Metropolitan Police Department (or “MPD”) will usually investigate this type of case. The person who flees the scene usually becomes a target of the investigation. The person who stays on scene is the “complaining witness.” The police may have evidence that an assault or other crime occurred, but if the complaining witness does not know the target, then it’s likely the police cannot get an arrest warrant without further investigation. Police not only need probable cause that an assault occurred, they also need evidence to identify who committed the assault. So, in the same hypothetical, the police may interview other witnesses, check for security camera footage at the establishment where the fight occurred, or use other methods of investigation. In the photo array, the detective will usually place the target’s photograph in a nine-photograph array with 8 other individual mugshots of people who looks similar to the target. If a witness picks the target out of the nine-person photo array, that will usually be enough evidence for the detective to get an arrest warrant. The reason is because at that point the officer has probable cause to make an arrest. There is evidence that an assault occurred, and with the identification they also have evidence as to who committed the assault. That means individuals who get involved in a fight often get arrested weeks or even months after the alleged assault occurs. Accordingly, simply just getting away from the scene after the altercation will often not prevent the arrest from occurring. 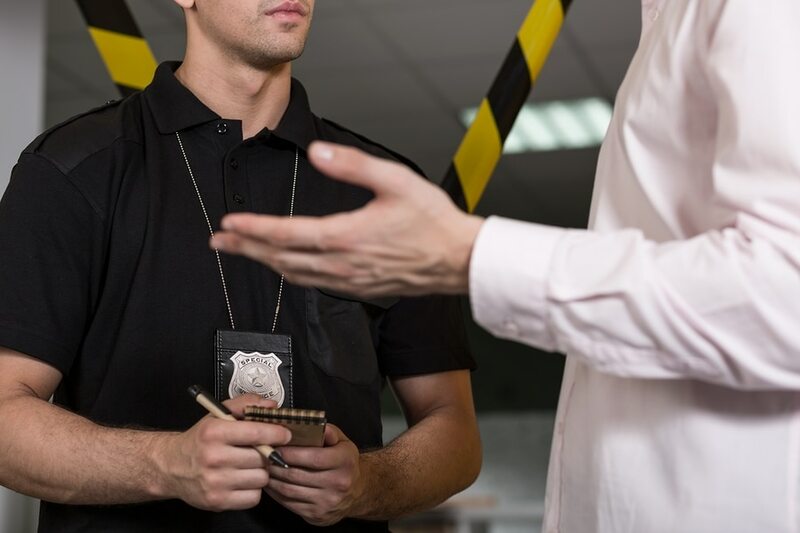 Once the detective has evidence for the assault and identification, the detective must draft an “affidavit in support of arrest warrant.” In the affidavit, the detective will describe what investigation occurred and what evidence they have to support probable cause for the arrest. Once they draft the affidavit, the detective must get approval from both a prosecutor and a judge to get the actual warrant. First, the detective will take the affidavit to a prosecutor. The prosecutor will review the affidavit. Prosecutors usually sign the warrants and take a broad view of what constitutes probable cause for an offense. Depending on the alleged injury, the warrant could be for a misdemeanor or felony. If there is no injury requiring medical treatment, the prosecutors will usually charge simple assault, which is a misdemeanor. However, if the complaining witness suffers injuries that require medical treatment, then the prosecutor may charge a felony offense like assault with a significant bodily injury. After getting approval from the prosecutor, the detective will take the affidavit to a judge at DC Superior Court. The judge will also review the affidavit and may ask the detective questions about the investigation. Once the judge has signed the warrant, the police can make the arrest at any time. In some cases, the detective will contact the target and let them know they have a warrant for the target’s arrest. In others, they may show up at the person’s house and arrest them at home. Or the target could get pulled over for a traffic violation and when the patrol officer runs the target’s information, he/she will see the warrant in the database and make the arrest. If you or a loved one has been contacted by police or you suspect you might have a warrant for your arrest, contact Jay P. Mykytiuk, Trial Attorney immediately for a full case evaluation. An experienced criminal defense attorney can walk you through the process and help coordinate something called a “self-surrender” where you voluntarily turn yourself in and spend the least amount possible in custody.